Life is short. It’s beautiful to go back in to the deep recesses of my memory and extract the days and events of my life which are precious. When I stretch my memory, I can vividly see my first day in the school. My dad holding my hand and taking me to school. I was crying on my way to school. When I reached the school, I liked the environment. There were lots of toys. I enjoyed them. We had snacks during the break time. I liked the snacks but I hated milk served in a copper tumbler. I liked my nursery teachers. I can remember only one name, Sunita madam. 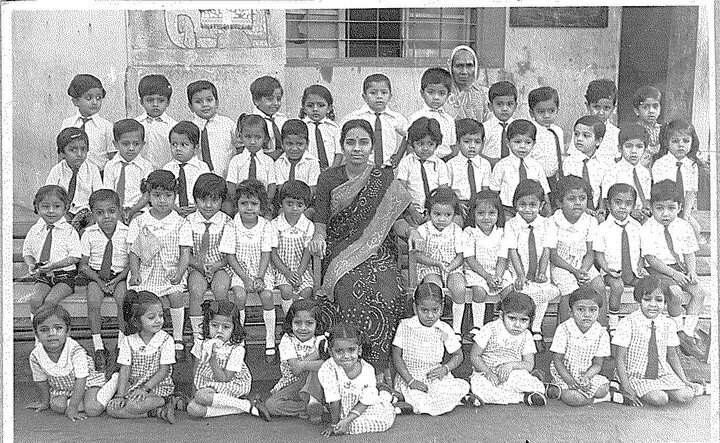 Some of the faces I remember in the Jr KG, 1981 are: Brijesh, Kaushik, Rajan, Kanpoorwala, Pushpak, Dharmesh, Hardik, Vikram, Smith, Sachin, Palek, Parul, Monica, Ojoswita, Shraddha. I remember the walk to school from my apartment with my mom or dad. There used to be a cow shed on the way. I remember an incident when I left my KG class without notifying the teacher. I saw our house maid, Parvati in the school and I went with her without informing anyone. When my mother came to pick me up, I was not there. They looked for me everywhere even in the school bus but I was nowhere seen. In fact, Parvati had taken me to our neighbor’ s house – Nambiar family, on the 2nd floor of our apartment. My mother was tensed that I was not in school when she came to pick me up. She went to tell this incident to Nambiar aunty and to my mom’s surprise, I was there. I received a big scolding that day. My mom took me back to the school and informed the teacher. After the UKG, we didn’t have snacks. We got our own tiffin box. Occasionally, I used to meet Dolly during the lunch break and have snacks along with her friends. I remember my new “Duck bag”, pencil box. I had a habit of losing my pencil box or tiffin box. I think from the 1st standard onward, I started going by a pedal driven rickshaw by an old man. He used to climb the stairs and shout my name in the early morning. I remember the man’s face even today. I remember my first standard classroom and the class teacher. Her major subject was Drawing, which was a bit boring for me. Radha madam was the English teacher. Once we went to her house. There was some complaint about me. I don’t remember what mischief I did. We had oral and written exams. I used to do well in the oral exams. I remember the second standard class room near to the library. The library was upstairs. In the 3rd standard, Chauhan madam was the class teacher. She used to teach Maths. English was my favorite subject and the teacher was also my favorite. I used to sit beside Margie. I was the class monitor and given the responsibility to keep the class quiet in the absence of any teacher. The 4th standard was on the 2nd floor. 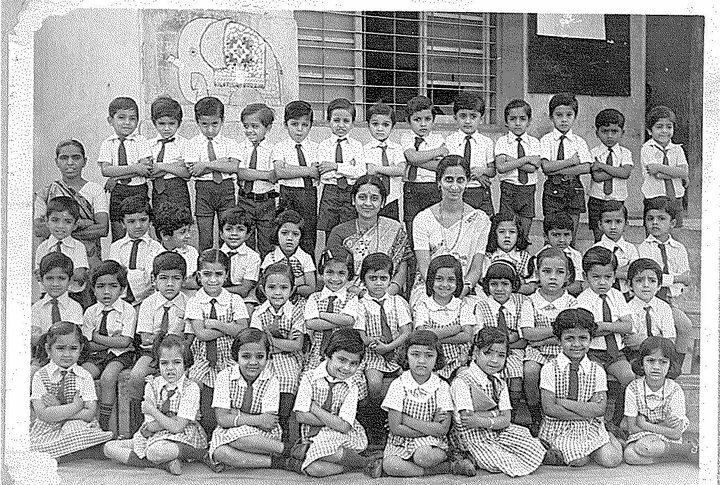 Desai madam was the English Teacher. She once gave an assignment to come out with words that has two consecutive letters “O”. Occasionally she used to share her US experience. We had class on Saturdays. It was a half day, from 12 to 4 pm. In the 5th Standard, Parikh sir was the class teacher. I liked his teaching. He resigned and left for a job at Surat. We gathered outside to hear his farewell speech. We were all sad when he resigned. Our school had excellent Gujarati snacks. I loved Vatana and Mamra mix, batata pauva or bread bhajiya. For 25 paise, we used to get a small quantity, 50 paise, medium amount, 1 rupee, it was a huge quantity. There was always a big queue in front of the canteen for snacks. There was also a lariwala outside the school, selling bun stuffed with Samosa and chutney. It was my favourite. Gandhi was the top ranker throughout. He was unbeatable. Anurag was the second ranker. I ranked 3rd or 4th. I used to go for hockey practice in the Polo Ground conducted by Dubey sir. Not that I loved hockey, but to score better marks in the Physical Education exam. After the practice, I had Gujarati Tuition on the third floor of our apartment. Although, I studied hard, it was tough for me to score well in Gujarati exam. I remember scoring 13th rank in the first term exam of 6th std. I was upset with my results. After that, mom used to take tests regularly. In the second term exam, I scored 3rd rank. N.Kaul madam, our class teacher, applauded me in front of the whole class, seeing the improvement in my rank. It was during the sixth standard, we moved from Vithlesh Apartment to Priyardarshini Society, Makarpura Road. I had good friends in the Vithlesh apartment and I missed my cricket with them. I remember the days in my 7th std. The class was on the top floor. Mohandas madam was the class teacher, she taught Maths. Nilesh Shah, Hardik Gandhi, and I were seated together in the girls section. I remember playing cricket during the break time. Yogendra was the fast baller. I remember the debate competition in the 7th std. I scored second and Ojaswita scored first. It was a great joy among my friends when the results were announced. We had spelling competition every month. NKaul madam taught English. Bharti madam, taught Social Studies. I ranked second in the first term, first in the 2nd term and second in the annual exam. Some of my class mates I remember in the 7th standard are Sachin, Vikram, Kaustubh, Makrand, Prasanna, Kaushik, Hardik, Monika, Parul, Shraddha, Aparna, Dharmesh, Pushpak, Brijesh, Kanpurwala, Ojoswita, Yogendra, Amit Jain. Abeesh this is superb. Literally while reading the school days memories pictures were moving in my eyes……miss all of u a lot. I remember most of them…As I used to stay opposite to Vithlesh apartment. Do you remember me. I guess yes. As we met in BSC after long long time. 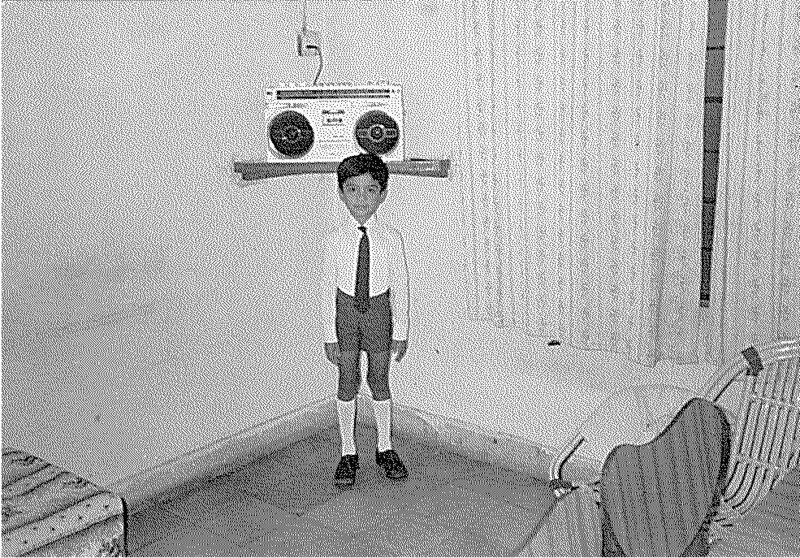 I would like you to help me in identifying me in Jr K.G pic. Am I the one on the top left second and without Tie :). Thanks for ur post. Samosa pav. I also remember about Parekh sir. It was one of the sad day for whole school. Thanks for sharing. You have super memories. Remembering from KG to finals is awesome. Yes your classroom descriptions take me back to both Samarpan and Polo ground as well as Hockey and football practice by Dubey sir. I remember Navle ma’am, Ramakrisna ma’am(English) and Pandit sir for their very different styles and love for teaching in right dose and manner. I also remember Manubhai sir for removing our boredom and definitely cannot ever forget BG Bhatt sir.